The remote Darmead Muir, or Darmead Linn as it is sometimes referred to, was used as a site for Conventicles by the Covenanters. Amongst ministers who held conventicles here were Rev Donald Cargill, Rev Richard Cameron, Rev Thomas Douglas and Rev James Renwick. 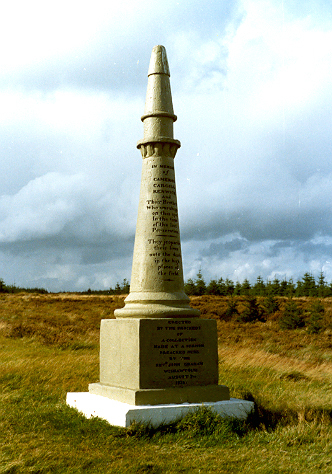 The monument on Darmead Muir was erected in 1836. 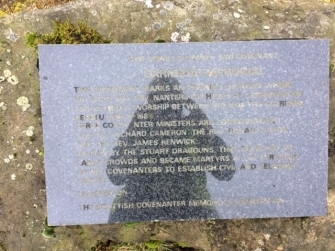 Adjoining the forestry road is a boulder with plaque, erected in 2006, which gives some background information.